Archer Forest Action is a free adventure game for Windows 8 and 8.1. 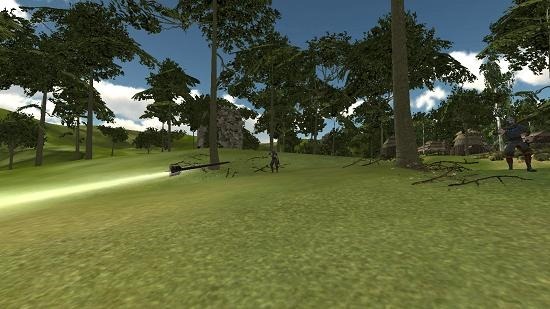 The game is designed in an interactive 3D style where you are an archer on horseback and you have to kill the enemies who have surrounded you. 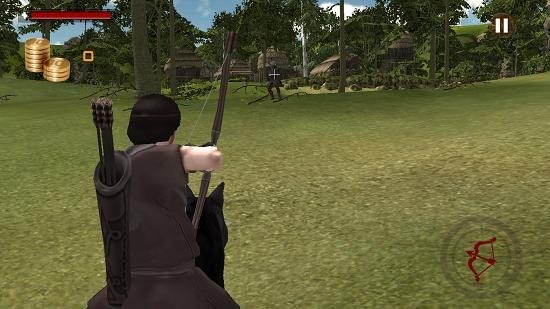 In the game you will be able to see the enemies who are firing the arrows at you. When you have killed the enemies around you, you will be taken to the next spot which is full of enemies. The game is pretty lightweight, clocking in at just below 40Mb, and has a nice background track as well. 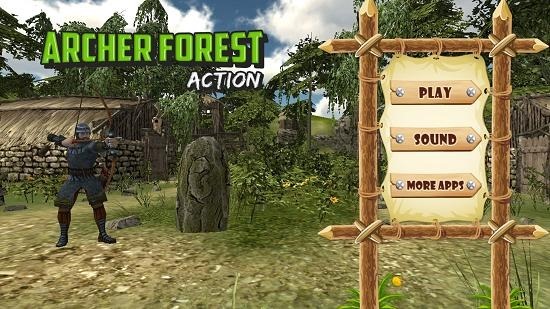 Archer Forest Action is available for free from the Windows App Store. Archer Forest Action when launched will present you with a screen which looks like the screenshot below. The above screen may also be dubbed the main menu of the game. When you click on the Play button the game will present you with a screen which looks like the screenshot below. 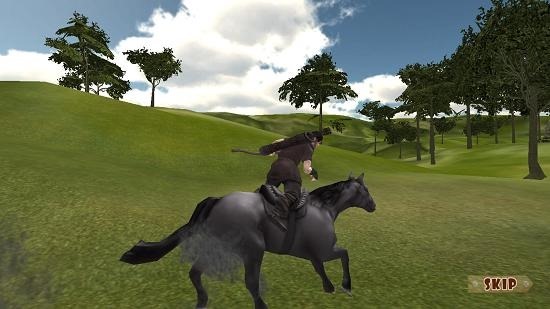 This shows the main protagonist of the game on a horseback who is going to shoot the enemies with his bow and arrow. This video of the game can either be watched fully or can be skipped via the Skip button at the bottom right of the screen. The screenshot below is what follows after the video of the game has been watched. This is the gameplay screen of the game. To aim, simply move your mouse around via the trackpad or via the mouse. to fire, simply click on the left mouse button. You can see the crosshairs aiming at the enemy in the below screenshot. At the top left is the health meter and the coin meter too. Once you aim and fire correctly, you will be able to see a close up of the arrow which leaves the bow. This concludes the main features of the game for Windows 8 and 8.1. Archer Forest Action makes for a good download on devices running Windows 8 and 8.1. You can get the game for free by heading over to the link below.